Some of the best household vacuum cleaners are the ones that can handle just about any job from the floor to the ceiling. That’s exactly the kind of quality you can expect from the Dirt Devil 360° Reach Pro Bagless Stick Vacuum, SD12515B. It can clean ceiling fan blades just as well it can floors, couches and even car interiors. The interchangeable features with the different tools and attachments make this one of the most convenient vacuums you can own. Even if you have tall bookshelves that are impossible to reach, this vacuum has an attachment that can help you clean it. It claims to have 4-in-1 capabilities, but it actually seems like it has more functions than just that. 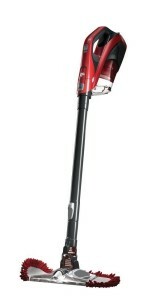 The capabilities that the Dirt Devil 360° Reach Pro Bagless Stick Vacuum, SD12515B has are phenomenal. You can clean under furniture, on top of large objects, between cracks and crevasses and vehicle interiors, not to mention your hardwood floors or carpet. The cyclonic filtration system makes it easy to pick up even some of the toughest dust and debris. While this vacuum probably shouldn’t be used as your main vacuum throughout the house, you won’t have to own another vacuum for cleaning the tough areas. Most people have to have two or three different types of vacuums in order to clean every inch of their house. You can use this vacuum for all of those tough areas to complement your larger upright vacuum that cleans the main areas. One common misunderstanding of this vacuum is that it is designed for light cleaning. It can easily get overheated if it’s used for an extended period of time, or if you are cleaning up a very messy area. While the vacuum has many capabilities, heavy cleaning isn’t one of them. While most people enjoy and appreciate the different attachments that this vacuum comes with, some people also think that it suffers in quality. Since it can do so many things as a single unit, it doesn’t do any particular thing very good. But again, this vacuum is designed for light cleaning, so you can’t expect it to be great at everything. Who Should Own the Dirt Devil Reach Pro Bagless Stick Vacuum? 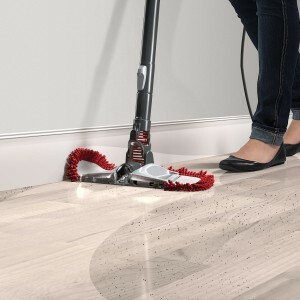 People who have struggled with vacuuming under furniture or have a lot of hard-to-reach places in their home would benefit from owning the Dirt Devil 360° Reach Pro Bagless Stick Vacuum, SD12515B. A lot of people will just ignore the dust that accumulates on ceiling fan blades or other areas, which can be unsightly at times. With this vacuum, you can clean those places more easily, so that you’ll never have to dread cleaning them again. A vacuum cleaner this convenient will surely be sold quickly, so be sure to get yours on Amazon today. The Dirt Devil company has existed for over a century. They have consistently manufactured quality floor care products at competitive prices during that time. No matter if you’re looking for a small and convenient vacuum or if you need a large vacuum to clean your entire home or business, Dirt Devil has a product for you. They are one of the most common names in the vacuum cleaner industry and are consistently at the top of the charts in sales. One of the main reasons why they are always at the top of any list of best vacuum cleaners is because they cater to both residential and commercial consumers and will fit just about any budget with their vacuums.